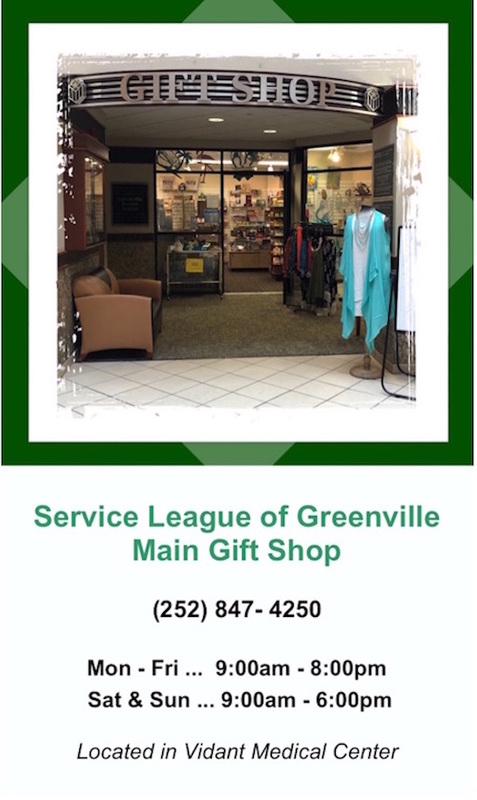 THE SERVICE LEAGUE OF GREENVILLE INC is a non-profit service organization of 170 women who donate willingly of their time and talents for the benefit of their community — the city of Greenville, Pitt County, and eastern North Carolina. 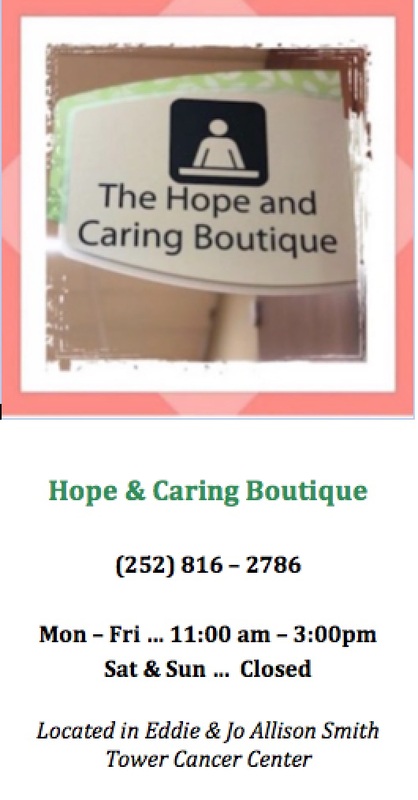 With members providing over 17,000 volunteer hours each year we strive to bring hope and comfort through our service work with Vidant Medical Center, the Red Cross bloodmobile, the Ronald McDonald House, Children’s Miracle Network, McConnell-Raab Hope Lodge, Service League of Greenville Inpatient Hospice. 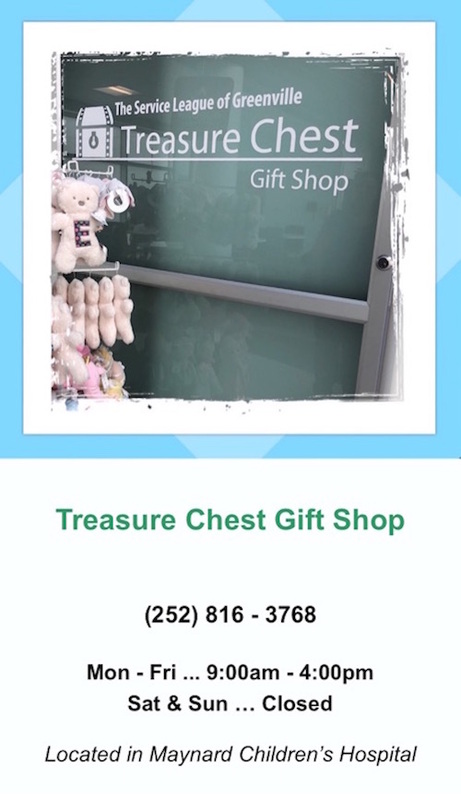 Since our founding in 1938, our members have generated and provided over $9 million in funding for equipment and capital building projects to Vidant Medical Center (former Pitt General and Pitt County Memorial Hospital) through the operation and management and/or leasing of the hospital’s Greenville gift shops, snack carts, coffee shop, kiosks and vending machines.